Evanston police arrested a 44-year-old man Monday in connection with the stabbing of a father who had just dropped his son off at Evanston Township High School last month. Harry Jackson, of the 1500 block of Dewey Avenue, was caught after an anonymous tip through the Chicago Police Department moved the investigation forward, Evanston police said. Multiple witnesses then picked Jackson out of a group of photos and police lineup. Jackson later “made admissions which corroborated the witness identifications,” EPD Cmdr. Jay Parrott said in a news release. The breakthrough came after police found a jacket believed to be worn by Jackson in a backyard near the scene of the incident. At the time, however, they were unable to identify him through witness interviews. Jackson tried to rob an Evanston man as he drove home from dropping his son off at ETHS, 1600 Dodge Ave., on the morning of June 11, according to police. After forcing the man to stop his car, Jackson reached through the driver’s side window and took hold of the steering wheel and gearshift. Police said Jackson then showed the driver a box cutter knife and demand the man’s money. 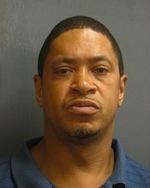 Jackson cut the man three times and fled the scene on foot without taking the man’s money, police said. The man was taken to Evanston Hospital in good condition. Jackson was charged with attempted armed robbery and aggravated battery. He is scheduled to appear in court July 24.